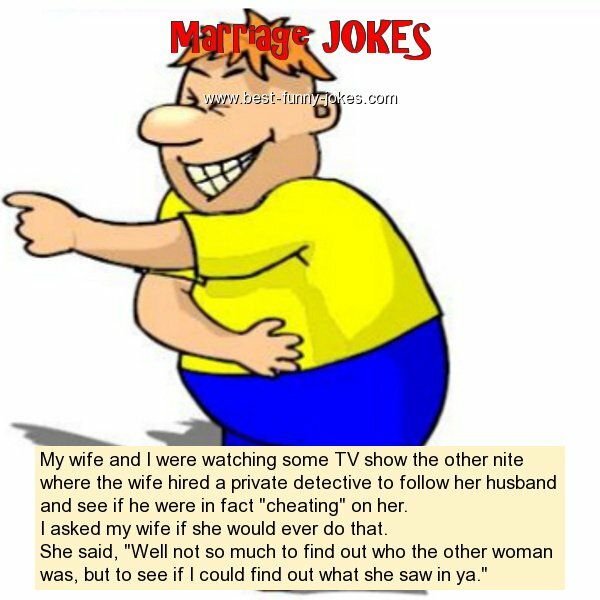 My wife and I were watching some TV show the other nite where the wife hired a private detective to follow her husband and see if he were in fact "cheating" on her. I asked my wife if she would ever do that. She said, "Well not so much to find out who the other woman was, but to see if I could find out what she saw in ya."